While relatively new to real estate, Cory is excited and dedicated to being the most attentive REALTOR for you. He will put his knowledge, his ability to listen and his attention to significant details to work for you. A dedicated husband, a “fur dad” to two pets, and a veteran, Cory Carte strives to keep a balance between his work and family life. In 2010, Cory married his high school sweetheart, Megan. In their free time, they love to spend time together and with their pets, being at the beach, and traveling. 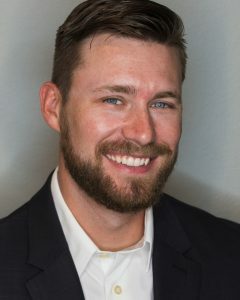 Born in Stuttgart, Germany to a military family, Cory lived in Germany until age 6 when his father was transferred to Tinker Air Force Base in Oklahoma City, Oklahoma. In 2002, Cory’s dad was transferred to Eglin Air Force Base, which introduced him to Panama City Beach and the Emerald Coast of Florida… Which he has called home ever since! After graduating from Crestview High School, Cory enlisted into the US Air Force as an Avionics Technician and was assigned to the 919 SOW at Duke Field, FL. After his time in the Air Force, Cory continued working for the DOD (Department Of Defense) as a civilian contractor for multiple companies including Boeing, Sierra Nevada Corporation, and L3 Technologies.